Thanks to John Kennedy for all of the following photos. 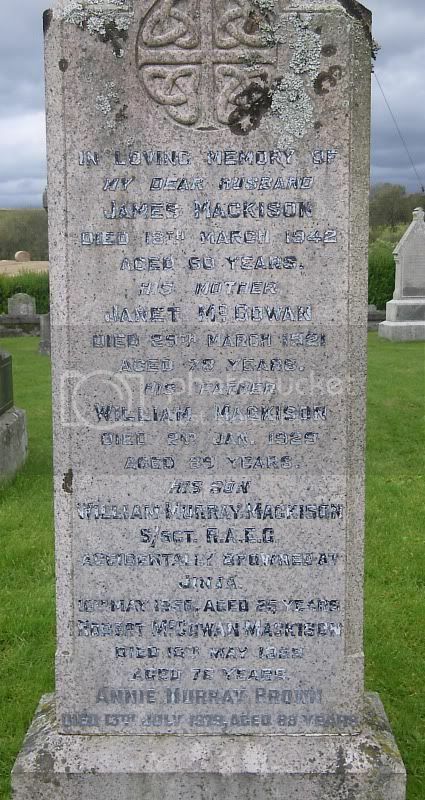 Grave/Memorial Reference:	Panel 92 to 97. 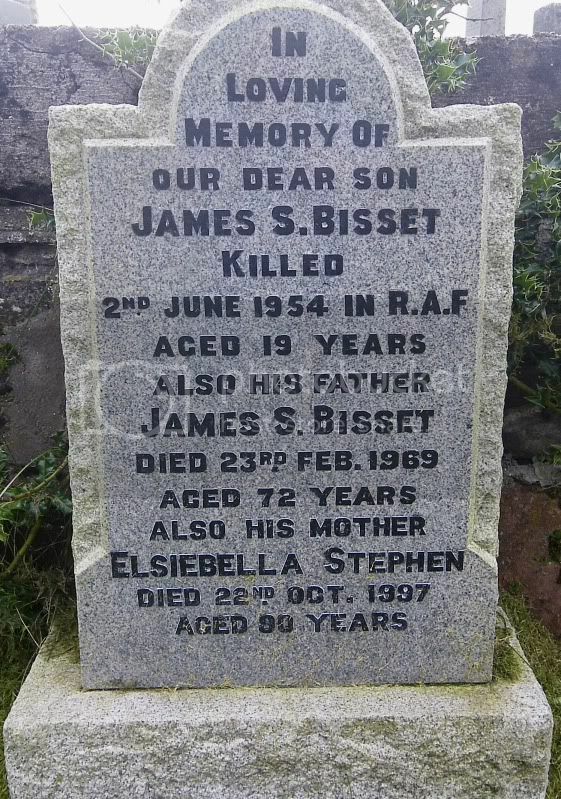 Unit Text:	72nd Bty. 38th Bde. 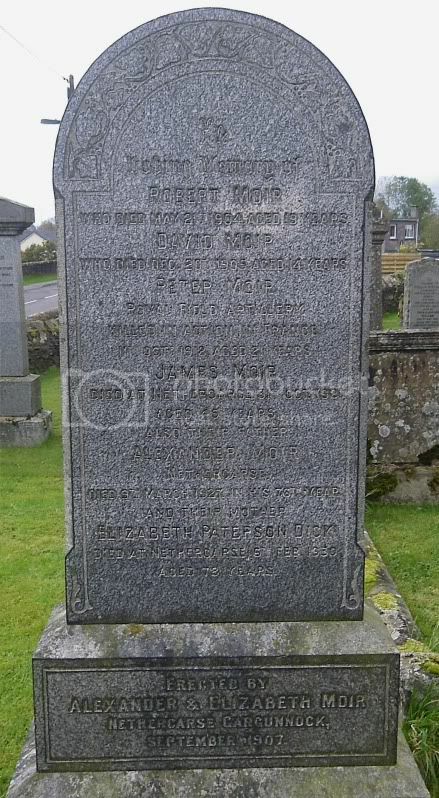 Additional information:	Son of Mr. and Mrs. Alexander Moir, of Nethercarse, Kippen Station, Stirling. Grave/Memorial Reference:	II. H. 3. 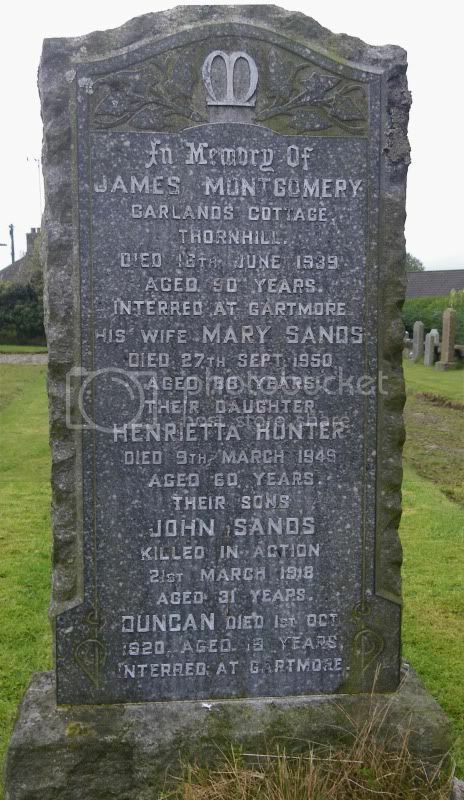 Additional information:	Son of James and Mary Montgomery (nee Sands), of Garland's Cottage, Thornhill, Perthshire. Grave/Memorial Reference:	Panel 77 and 78. 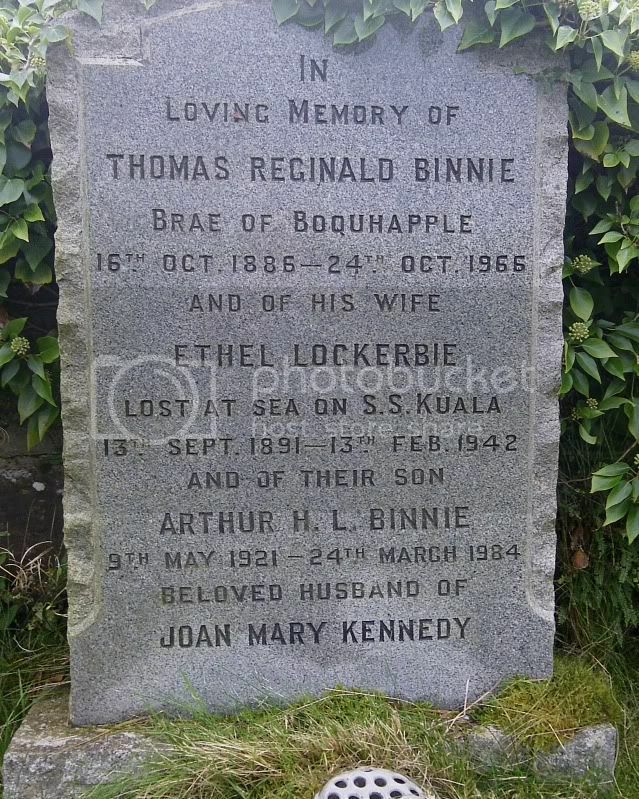 Additional information:	Wife of T.R. Binnie. 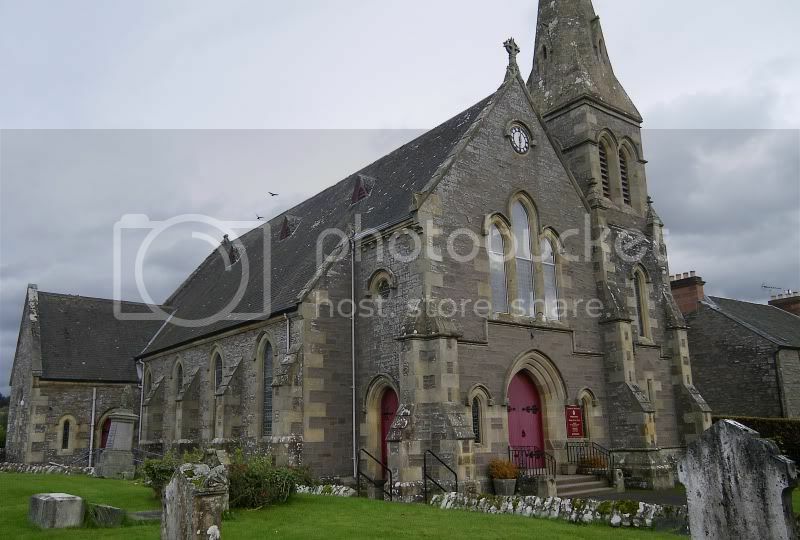 Resting in the Priory, Inchmahome, Lake of Menteith. 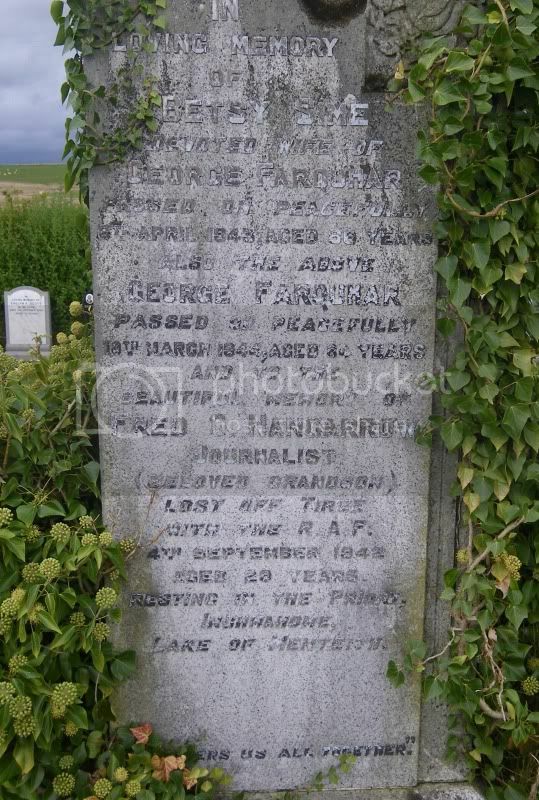 Grandson of George & Betsy Farquhar nee Sime. 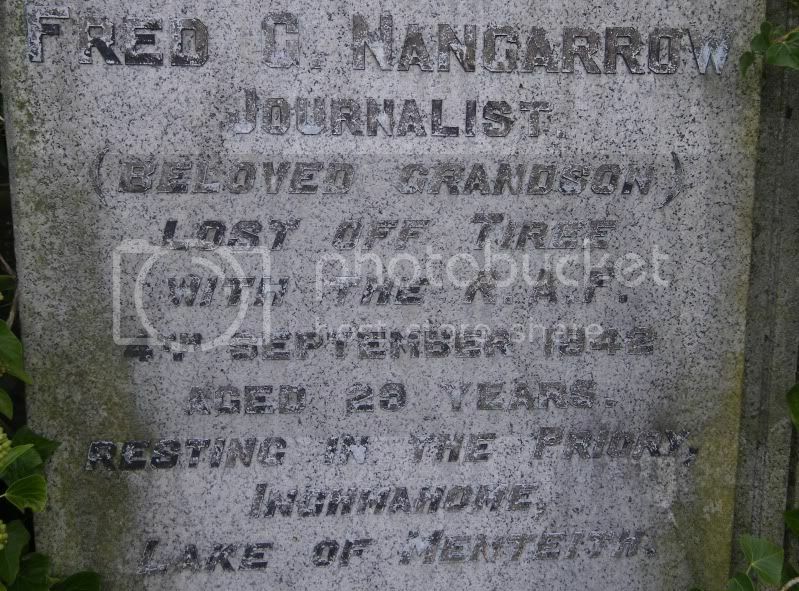 Additional information: Son of Fred J. Nancarrow and Marie Nancarrow; husband of Frances Craig Nancarrow, of Goftfoot, Glasgow. 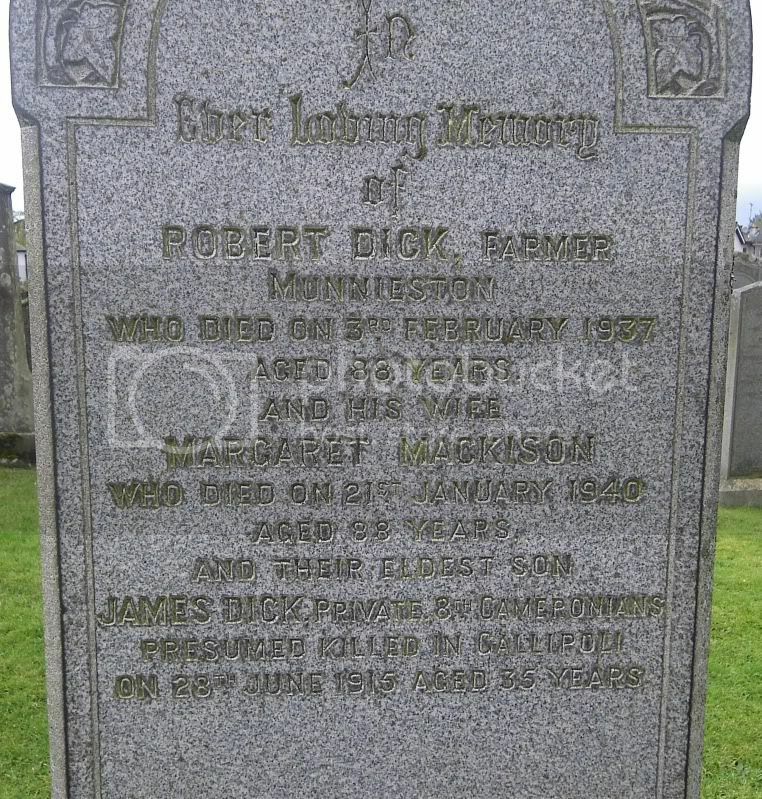 Author of "Glasgow's Fighter Squadron".